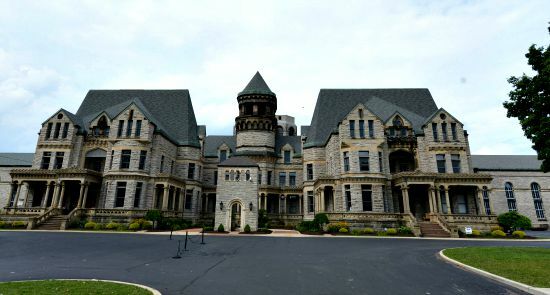 Mansfield Reformatory was completed in 1910 after 24 years of construction, which took so long due to funding problems. Built on the site of a civil war training camp called Camp Mordecai Bartley in honor of the Mansfield man who served as Ohio governor in the 1840s. The reformatory remained in use until December of 1990, when it was closed due to a federal court ruling, but even though the facility was closed down there was no intention to demolish it. The east cell block of the prison is home to the largest free standing steel cell block in the world at six tiers high, and due to its architecture has now become a listed building. It has also been the site of quite a few media pieces, with it being featured on some big films such as Tango and Cash, Air force one and the Shawshank redemption. Today the prison is slowly being restored to its former self through donations and ticket money from the tours it offers. It also hosts regular ghost tours and has featured on various paranormal investigation programs. Any prison is going to see many deaths, whether the death penalty is in place there or not, as you simply cannot have a large number of thugs and murderers in a place together without them killing each other. The Mansfield reformatory has seen over 200 deaths in the time it was open, which includes 2 prison guards who were killed during attempted escapes. But the most well known single death is that of a former superintendent who was accidentally killed by his wife. Arthur Lewis Glattke was in charge between 1935 and 1959 and was greatly respected by the guards and inmates alike, however one day in his family quarters his wife accidentally discharged a handgun when fishing around in a jewelry box, which struck her in the chest and she died 3 days later. Arthur himself died 9 years later within his office from a heart attack and today they have become the 2 most well known spirits in the prison, haunting the area where their family quarters used to be. They seem to like to make themselves known in subtle ways, with things such as sudden intense temperature drops and the strong smell of Helen's rose perfume coming out of the pink bathroom she used to spend so much time in.